Ghirardelli Chocolate Company is one of the most renowned chocolate confectionery and beverage manufacturers in the US. The company is based in California. Domenico Ghirardelli, the founder of Ghirardelli Chocolate Company, was born in 1817 in Rapallo, Italy. At that time, his father was importing exotic foods to Italy. His passion for chocolate developed when he worked as an apprentice in a local candy shop. He got married in 1837, and the same year, he took part in the South American Chocolate Trade conducted in Uruguay. He didn’t return to Italy, as he got a job in a coffee and chocolate company. In 1838, he went to Lima, Peru, and opened a candy shop. He also met James Lick, who was running a cabinet shop next to Ghirardelli’s store. In 1847, Lick moved to San Francisco. When he moved, he decided to take Ghirardelli’s chocolate with him. Ghirardelli changed the name of his store to Domingo. After his first wife died, he married Carmen Alvarado in 1849. After the marriage, he moved to California. During that time, gold mining was booming in California. So, he opened a store in Stockton near the mines. After a few months, he opened another store in San Francisco. On May 3, 1851, his San Francisco store was destroyed in a fire. Unfortunately, after 3 days of the San Francisco fire, his Stockton store was also destroyed in a devastating fire. But, he survived the tragedy. The same year, he opened Cairo Coffee House on Commercial St. in San Francisco. The coffee house was not very successful and he decided to open a new confectionery store and named it Ghirardely & Girard (the odd spelling was an attempt to help people pronounce his name properly). He became very successful and his family from Peru also came to San Francisco. 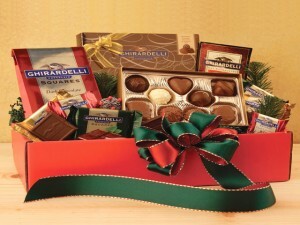 Not long afterward he changed the name of the company to D. Ghirardelli & Co. In 1855, the company was moved to larger premises. By 1884, it started exporting its products to Mexico, Japan and China. Ghirardelli handed over the company to his sons in 1892. Domingo Ghirardelli died on Jan. 17, 1894 in his home town of Rapallo, Italy. In 1986, the company was acquired by Quaker Oats. Quaker Oats sold it again to a private investment firm. In 1998, it was again sold to Lindt and Sprüngli Chocolate in Switzerland, as a wholly owned subsidiary. It successfully completed 150 years in business in 2002.